Escape and relax in your Gardener’s Oasis Greenhouse. 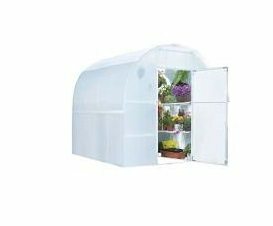 This is our most popular greenhouse for a reason. You’ll have maximum growing area with two double-tiered, built-in bench frames providing you hours of year-round gardening pleasure – and you’ll love the 8 ft. height!